The SuperDroid LT Tactical Treaded Robot w / 4DOF Arm is capable of climbing household stairs and obstacles. 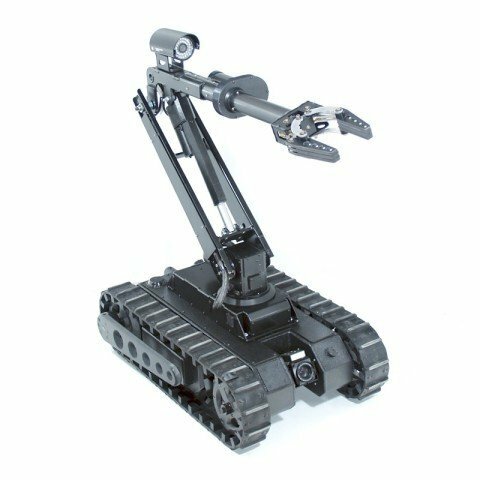 The removable multi-axis arm makes this robot the most versatile tool for clearing rooms, removing suspicious packages, remote surveillance, etc. The arm can easily be added or removed for different missions and clearance requirements. With the arm removed, it is great for driving under cars, beds, etc. With the arm installed, the robot is great for opening doors, moving and inspecting suspicious packages, etc.